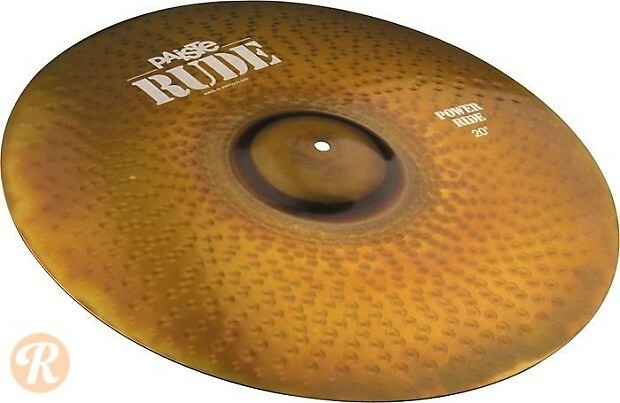 Developed in conjunction with the rise of punk and heavy metal in the mid to late '70s, the Paiste RUDE series was designed to function optimally in high-decibel playing environments. The cymbals features heavier weights, extended hammering patterns and a raw lathing. The Power Ride is constructed with defined bow hammering and an extra-heavy weight for clarity in sticking and a high-volume response.